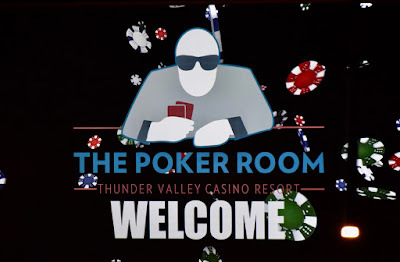 At least TWENTY (20) players are leaving today with a seat in to the @WPT Rolling Thunder $3,500 Main Event next weekend. By winning a seat in the $440 buy-in 20-seat-guarantee Super Mega going on right now. Ben Erwin, Jordan Cutter and JohnQTD (don't make me spell his last name, please) just put cards in the air, 15,000 stacks and 20-minute levels for the entire Super Mega. Registration and the unlimited re-entry period closes at the start of Level 10 at about 4:25pm.